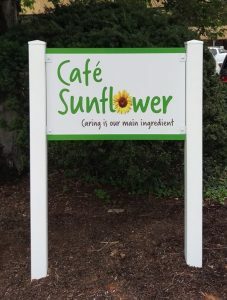 A cost-effective and versatile option, post and panel signs are becoming a popular choice for promoting your brand, business, and services to both potential and existing customers. 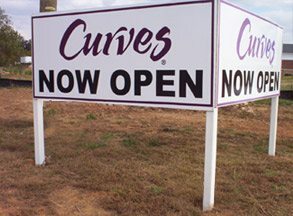 You will be sure to get attention with promotional panel signs, especially when they’re made by a reputable sign company like Genesis Graphics & Signs, Inc..
We specialize in post and panel signs and we strive to provide attractive signage products that support your business goals and are reflective of your brand. Our custom signs are designed to fit your needs and crafted depending on your desired shape, materials, and size. This ensures that your post and panel signs do their job of capturing the attention of passersby and building brand visibility. We not only cater to your business needs by delivering your entire post and panel sign system, we also can update your existing sign panels with new images or messaging if needed. For completely new signs to replacement panels, poles, and finials, Genesis Graphics & Signs, Inc. is your go-to local signage provider. Branded wayfinding signs assist visitors who may not know their way around your facilities by effortlessly guiding them to their destination. Post and panel signs are excellent for supporting navigation for many business types. Designed to be easily found, seen, and understood, post and panel signs are quickly becoming one of the most popular ways to support your visitors and guests with finding their way around your facilities. 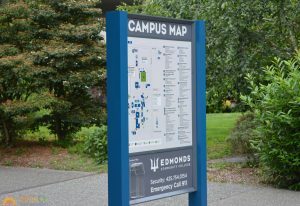 With our years of experience in the sign and graphics industry, we know the basics of wayfinding design. 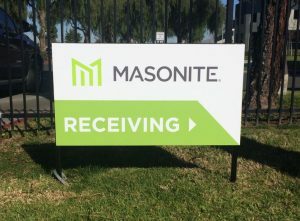 We deliver attractive, impactful, and effective post and panel signs using your unique branding elements and dynamic shapes and sizes to build you effective and impactful wayfinding signs and graphics. Navigational post and panel signs make it easy for new customers to find their way to you! Reassure new customers and visitors that they have found the right spot. More affordable than a large monument sign but offering the same impact, post and panel signs are a viable option for building business and brand visibility. With a multitude of options regarding the size, color, shape, and location, post and panel signs attract potential customers and support your brand messaging simultaneously. Genesis Graphics & Signs, Inc. also customizes the signs to improve brand awareness. We have a variety of options for your post and panel sign designs, including carved or sandblasted wood signs, aluminum, and curved metal panels, PVC posts and panels, lighted or cabinet sign panels, and many more. 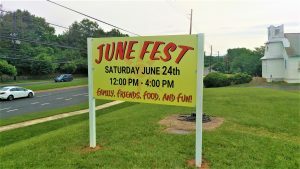 Genesis Graphics & Signs, Inc. also knows that property signs are usually permanent elements, this is why our products are long-lasting, making our services the perfect choice for your outdoor post and panel sign needs. For businesses who desire more temporary outdoor signs, post and panel signs may still be the right choice for your needs. Genesis Graphics & Signs, Inc. delivers a variety of cost-effective versions including PVC signage with digitally printed graphics. PVC sign panels are less expensive than aluminum or metal sign panels; however, they are just as effective and can withstand weathering much better than just wood post signs. Post and panel signs are a popular favorite for business identification signs, real estate, construction sites, promotional purposes, and for other purposes where signage is replaced, updated, or changed more frequently. Genesis Graphics & Signs, Inc. strives to provide you with the perfect solutions for your business sign and graphics goals. Our services are tailored to your preferred location, market, timeline, and budget. With a dependable team of signs and graphics professionals, Genesis Graphics & Signs, Inc. is on your side throughout the whole undertaking. From initial concept to custom design, creation, positioning, and skilled sign installation, we are your full-service signage provider. When you want signs and graphics that is done properly and on time, go with Genesis Graphics & Signs, Inc..
Showcase your organization with effective, highly visible signs and graphics like professional post and panel signs by Genesis Graphics & Signs, Inc.! Handling each and every detail of your signs and graphics project, we produce branded promotional sign and graphic elements that support your brand and business objectives. Call Genesis Graphics & Signs, Inc. today at (832) 293-4899 for your Free Consultation with a Post and Panel Signs Expert! Mike and team were very professional.